Urban Prep Charter Academy's College Signing Day on April 26, 2016. CHICAGO (WLS) -- Scholars, not athletes, at Urban Prep Charter Academy in Chicago announced where they will be taking their smarts for a College Signing Day event on Tuesday. The students said which four-year colleges they'll be committing to in the fall during the event at Daley Plaza in the Loop. 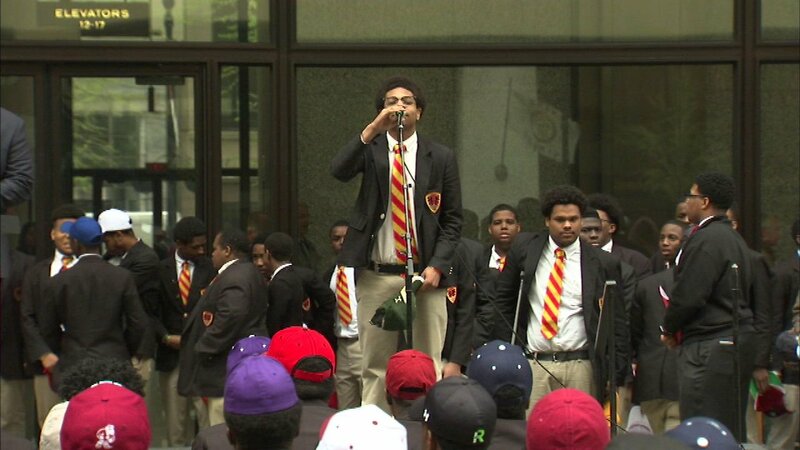 More than 1,500 Urban Prep students are heading to more than 220 colleges across the country. The event supports the White House's Reach Higher initiative, which encourages students to announce their college choices, based on academics.